Athens, Ga. – University of Georgia juniors and Honors Program students Morgan Gibbs and Mallory Harris are among 240 students across the nation to be recognized as Barry Goldwater Scholars, earning the highest undergraduate award of its type for the fields of mathematics, natural sciences and engineering. Gibbs and Harris are each studying in the Franklin College of Arts and Sciences. Gibbs, from Peachtree City, is majoring in chemistry and minoring in pharmaceutical sciences. Harris, from Dunwoody, is pursuing mathematical sciences with a concentration in computational biology. Both plan to earn doctorates in their prospective fields. Since 1995, 53 UGA students have received the Goldwater Scholarship, all of whom have been members of the Honors Program. The scholarship recognizes exceptional sophomores and juniors across the nation. This year, awardees were selected from a field of 1,286 undergraduates who were nominated by campus representatives from 2,000 colleges and universities nationwide. The awardees will receive up to $7,500 toward the cost of tuition, fees, books, and room and board. Gibbs plans to obtain a doctorate in medicinal chemistry and intends to pursue a career in the interdisciplinary field of drug discovery and design. Her interests span a wide variety of drug design techniques, and she wants to use these techniques to combat chronic diseases such as cancer and Alzheimer’s disease. She currently conducts research in assistant professor Arthur Roberts’ laboratory in the UGA College of Pharmacy, where they study drug-protein interactions with the multidrug resistance transporter protein P-glycoprotein. Her inspiration for her research is her grandmother. 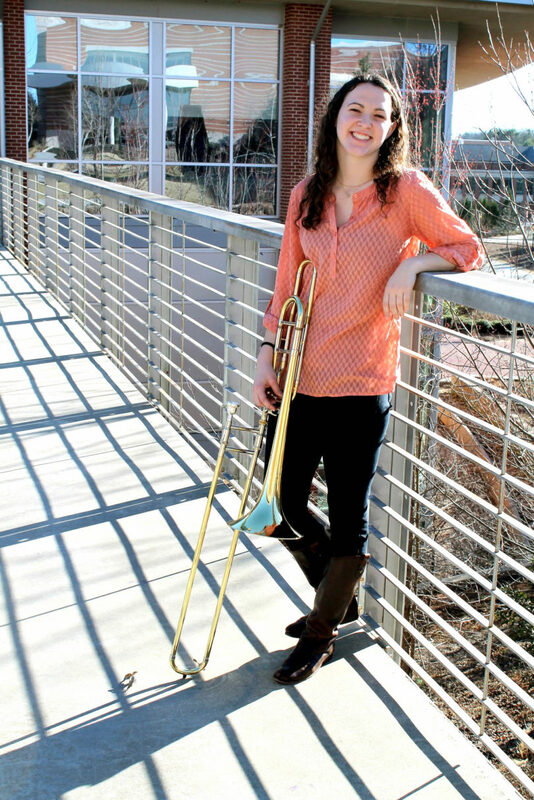 Gibbs is a trombonist in the Redcoat Marching Band, in the UGA trombone choir and for the volleyball and basketball bands; vice president of the UGA chapter of the American Chemical Society; and a two-time CURO Research Assistant. This summer, she will participate in the National Institutes of Health’s internship program. She also participated in the pediatric oncology education internship program at St. Jude Children’s Research Hospital. Harris, a UGA Foundation Fellow, plans to obtain a doctorate in computational biology and aims to conduct research and teach at the intersection of mathematics and biology. After receiving a Ph.D., she hopes to study disease systems at the biochemical and population levels. Specifically, she wants to develop more accurate diagnostic tests and precisely targeted treatment strategies based on genetic indicators, supporting a shift from reactionary to preventive approaches to epidemiology. She is working with professor John Drake in the Odum School of Ecology, studying vector-borne disease forecasting. She also conducts research in associate professor Juan Gutierrez’s Biomathematics Research Group in the Franklin College, integrating multi-omic data sets to understand the pathways affected by malaria infection and treatment in non-human primates. She has been motivated to excel and prove that gender and mathematical success are unlinked, she said. Harris is also a communications intern for Girlology; a math and reading tutor at Barrow Elementary School; community coordinator for Women’s Outreach and Resource Group at UGA; a policy think tank participant through the Roosevelt Institute; a grader for the UGA math department; and a CURO Research Assistant. UGA also received one honorable mention from the Goldwater Scholarship competition. Sophomore Ruth Schade, a Foundation Fellow from Marlborough, Massachusetts, is majoring in nutritional science and hopes to pursue a doctorate in immunology and conduct research focused on the immunological basis of inflammatory diseases. The scholarship honoring Sen. Barry Goldwater was designed to encourage outstanding students to pursue careers in the fields of mathematics, natural sciences and engineering. Since its first award in 1989, the foundation has bestowed 7,921 scholarships worth approximately $63 million.